This Korean Food Stall had caught our attention as it looked like a pop out stall just besides an escalator. 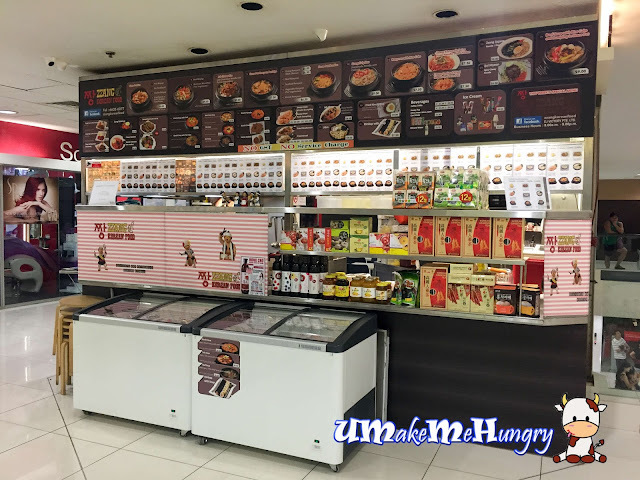 In the modern malls of Singapore nowadays, it is less likely we will see food stalls appearing out of the allocated store spaces but wonderfully in Bukit Timah Plaza, there are a handful of them. With no GST as well as extra service charge, it gave us another good reason to dine there on top that they have a reasonably priced dishes on their menu. Fried Pork Dumpling was deep fried and served in a crispy money bag shape filled with minced pork. It is best to be eaten with a dab on the black vinegar as given. 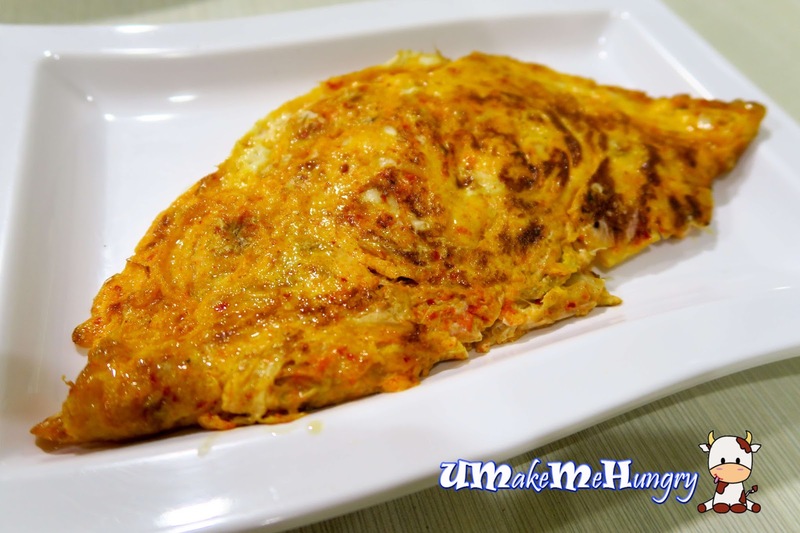 Kimchi Omlette was pretty decent. While I'm expecting big kimchi pieces to be found in it like those kimchi pancake, it proved me wrong with fine cuts of kimchi bits instead. Eggs were fluffy and definitely go well with the mains. The korean style of Jjajang spells a difference in the kind of meat used. Instead of having minced meat in a chinese style, Zzang Jjajang Noodle came with meat dices / cubes. Noodle was soft, served with shredded cucumbers and half a boiled egg. 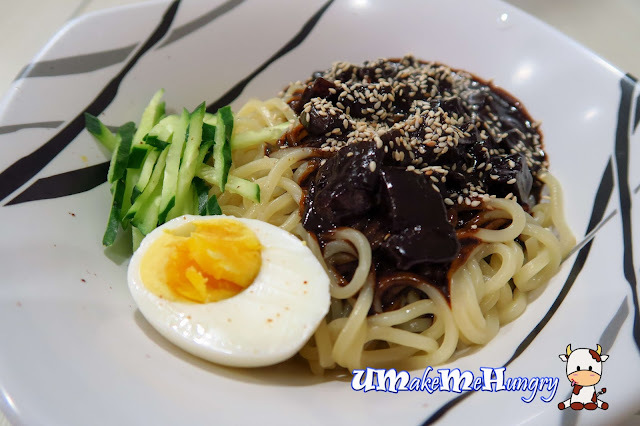 Sweet black sauce used in coating the noodle was heavily lavished with sesame seeds to enhance its fragrance. There are timings between 9am - 11am & 3pm -5pm where you get some dishes at discounted price and Chicken Bulgogi is one of them. With the promotion, it costs $7 instead of $9. 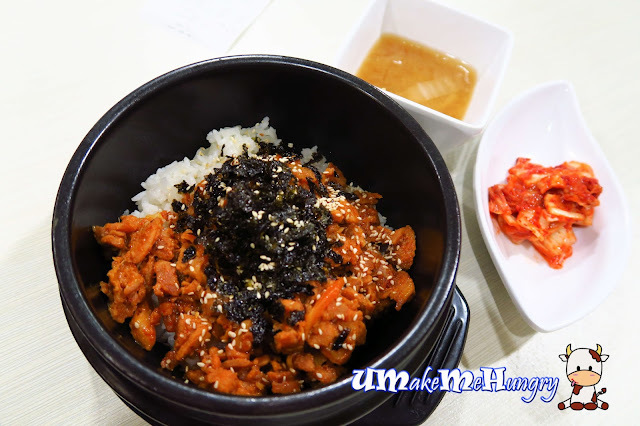 Served with plum and short rice grains with generous amount of chicken as well as seaweed added I find that the promotion is quite worthwhile as it comes with a bowl of soup and kimchi as side dish. 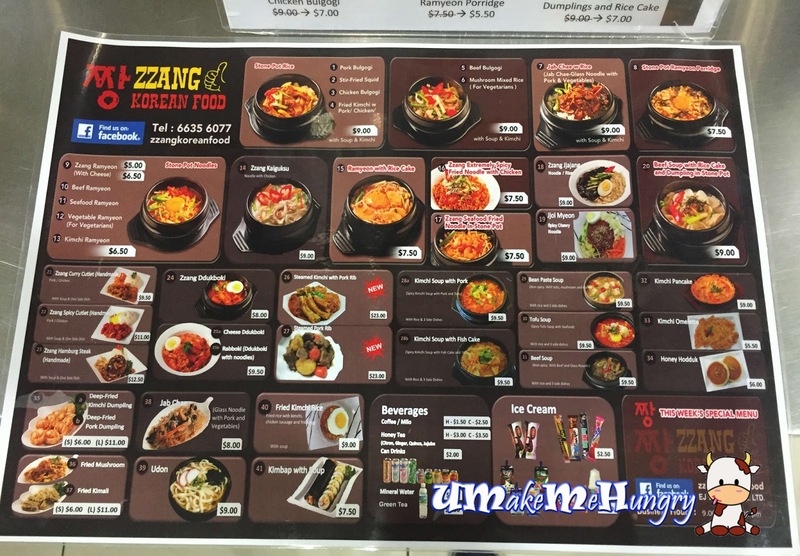 Zzang offers a series of simple yet authentic korean food less out the BBQ ones. To enjoy such cuisine without having too much on your pocket, you can try Zzang Korean Food out.